Hulu is the website where you can watch TV shows and movies online. Unlike Netflix, Hulu has a much better selection of TV shows and more recent episodes; Unlike YouTube, to get Hulu videos need more than the URL. Hulu have gone to great lengths to protect their videos from downloader, primarily because Hulu is home to a lot of television episodes and clips, rather than user-uploaded content. Then how to get TV shows, movies, webisodes and other new media, trailers, clips from Hulu? Here are the two methods. The advantages of video recorders are quite obvious, they could capture videos in good quality, and no matter DRM or encrypt RTMP and RTMPE protocols for video streaming, as long as videos are playable, they will fully record. 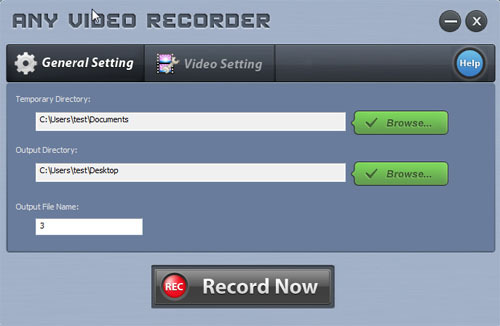 Step 1: Download and install the free screen capture software Any Video Recorder by clicking here. Step 2: Before recording, users could define the file directories and video name; customize output video quality by change Framerate and Bitrate. Step 3: Open the Hulu video that you want to record, and click the Record Now button. 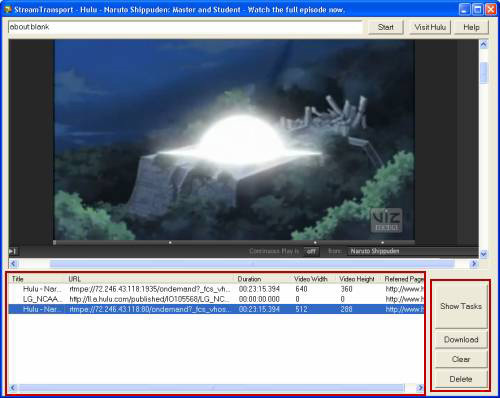 The program would detect the video area automatically. If needed, you could also adjust the red frame. Step 4: Click the red button or Ctrl+F7 to start recording. Step 5: Press hot key Ctrl+F7 or click on red button on the upper left of the screen to stop recording. StreamTransport is a free download tool, it could help you out and download videos that you like from Hulu, MySpace, Veoh, Yahoo!Video, etc. With it, the undownloadable Hulu website turns out to be downloadable. Step 2: Launch the software; you can paste the Hulu link you want to download or click the "Visit Hulu" button to the homepage and navigate to the video you would like to capture and play it. Step 3: Once the video starts playing, the program would detect the video URL automatically, and the URLs would appear download the window. Click an item that meets its time and click Download button to start downloading.